Yes, however some Amish are more apt to choose alternative or folk treatments before resorting to conventional health care. Cost, tradition, proximity and other factors enter into individual medical decisions. Yes. Amish do make use of conventional medical services including doctors, hospitals, clinics, opticians, dentists, and others. Amish people also frequently patronize chiropractic services. However some Amish are more likely to rely on alternative treatments such as folk treatments, herbal and natural medicines, and alternative remedies than conventional ones, at least as a preferred first line of treatment. This choice can depend on their church, community, and family background. Read more. Studies and news reports suggest from time to time that Amish have certain health advantages, either due to lifestyle or genetics. For example, these may include a resistance to asthma and allergies, lower rates of cancer, or genetic advantages leading to better weight control. On the other hand, some Amish suffer from extremely rare genetic diseases due to small founding communities and the practice of endogamy. Likewise, the Amish diet is also alternately praised (for fresh, natural home-grown foods) and condemned (for high use of fat and sugar in traditional cooking). A lifestyle generally more active than that of the average American no doubt contributes some health benefits to many Amish people. Amish people lead a generally active lifestyle. Some do, some do not. As with other conventional treatments, the more traditional and conservative groups are less likely to be vaccinated. Amish may refrain from vaccination due to reasons including a lack of understanding of benefits, a belief that the shots are harmful, religious conviction, and tradition (one’s parents did not vaccinate, so one does not need to either). However, a study performed in the 1980s found a majority of Amish in one large settlement (63%) to have undergone vaccinations, though in the plainest segment of the community, only 6% had (see study reference p. 228 in An Amish Paradox). 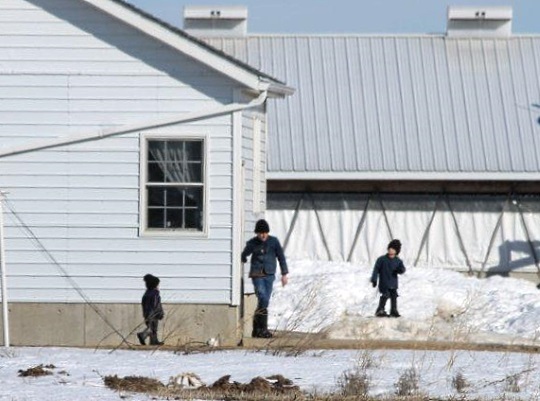 Furthermore, a large measles outbreak in Ohio in 2014 afflicting hundreds of Amish motivated many to be vaccinated (at least 8,000 Amish underwent vaccination as a result) and spread immunization awareness across Amish society as a result. Read more on the Amish & immunization. No, Amish do not carry commercial health insurance plans. Rather, Amish rely on church support to handle excessive medical bills. Mutual aid is a fundamental Amish belief–that members of a Christian community should help care for one another’s material needs. Alms are collected at church services, and special second collections may be warranted when a need is great. When bills are very large, other churches and communities may offer aid, and benefit fundraisers such as auctions, breakfasts or suppers will be held to raise funds to defray medical expenses. In some Amish communities, more formal plans have been created. These church-administered plans are typically operated at low overhead. Donald Kraybill writes in The Riddle of Amish Culture that the Lancaster Amish Church Aid plan was started in 1969. Families make monthly payments and receive financial aid for bills in excess of “a deductible of several thousand dollars” (see Riddle, p. 104). Many Amish are health conscious, and willing to spend on wellness products and health treatments. 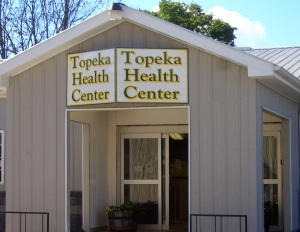 Topeka, Indiana. Amish typically pay medical expenses in cash. When costs are too high for one family to afford them, the church community steps in to offer aid. Since Amish have a reputation for paying their bills promptly, they have been able to negotiate advantageous rates in a number of communities. For example, in one large Indiana settlement, an Amish representative acts on behalf of the community to secure discounted rates for medical services, collectively saving members of the community large sums. Read more about one creative way Amish pay hospital bills. Some do. Certain folk treatments have a long history among Amish, and pow-wow or Brauche practitioners remain, particularly among the plainer Amish groups. Practices in this category can include “drawing pain” or the use or words or charms to achieve healing. However, many Amish refute folk treatments and may even be embarrassed to be associated with them, with one writer calling them “witchcraft” in the pages of a popular Amish publication (see “The Problem Corner” in Family Life, May 2011 issue). Amish do partake of non-conventional and natural treatments. Home remedies are commonly employed in Amish homes. Additionally, many Amish are avid consumers of vitamins and supplements. Read more on unconventional Amish health practices. Yes. Mexico is a fairly common destination for Amish seeking treatments at a lower cost, or in search of treatments and procedures that may not be sanctioned in the USA. Amish will travel by train or hired driver for longer distance trips. They may also travel to other states for medical care and in some cases other countries besides Mexico. Wenger, Anna Frances Zimmerman. “Cultural Context, Health, and Health Care Decision Making.” Journal of Transcultural Nursing 7:1 (Summer 1995): 3-14. “The Problem Corner.” Family Life (May 2011). “The Problem Corner.” Family Life (Aug./Sep. 1994). “Measles Hits Amish Communities, And U.S. Cases Reach 20-Year High.” NPR Blogs: Shots. National Public Radio, 29 May 2014. Web. Accessed 30 May 2014. Hostetler, John A. “Folk Medicine and Sympathy Healing Among the Amish.” American Folk Medicine: A Symposium. Hand, Wayland D., ed. Berkely and Los Angeles: University of California Press, 1976. To Cite this Page: Wesner, Erik J. “Health.” Amish America. Erik Wesner, 1 Mar. 2015. Web. [Date Accessed]. 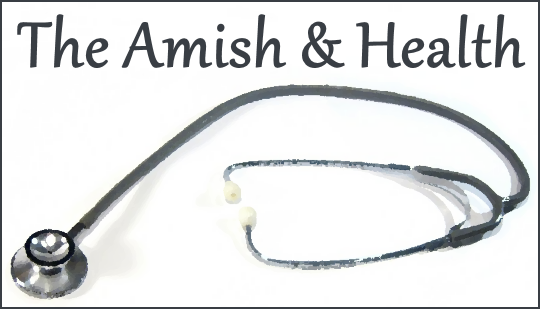 <http://amishamerica.com/health/>.